Here is my attempt at a Moroccan tagine dish. 1) Combine mince, garlic, spices and fresh coriander in a bowl and knead until smooth. season with salt and pepper. 2) Mould around 24-32 walnut sized portions into balls and set aside on a tray. 3) Heat oil in a large frying pan and fry meatballs until golden brown all over (do in 2-3 batches). 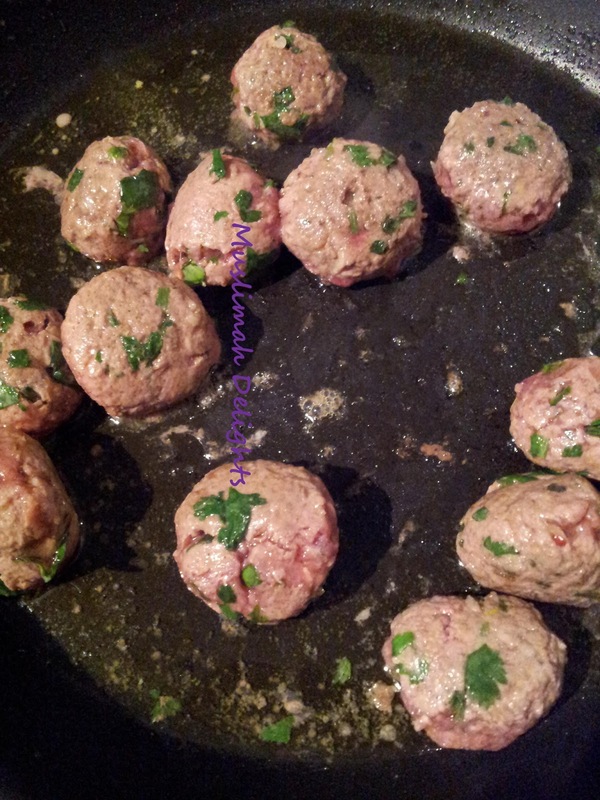 Place meatballs in the base of a pan or tagine/casserole pot. 4) Combine all the sauce ingredients in a bowl, seasoning with salt and pepper. 5) Pour tomato sauce over browned meatballs. Bring to the boil, then simmer on the stove top or bake in an oven heated to 180oc for 20 mins, stirring once to prevent sticking. 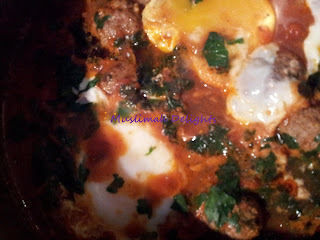 6) Break eggs into the sauce and continue cooking for 5-10 mins until eggs are just set. 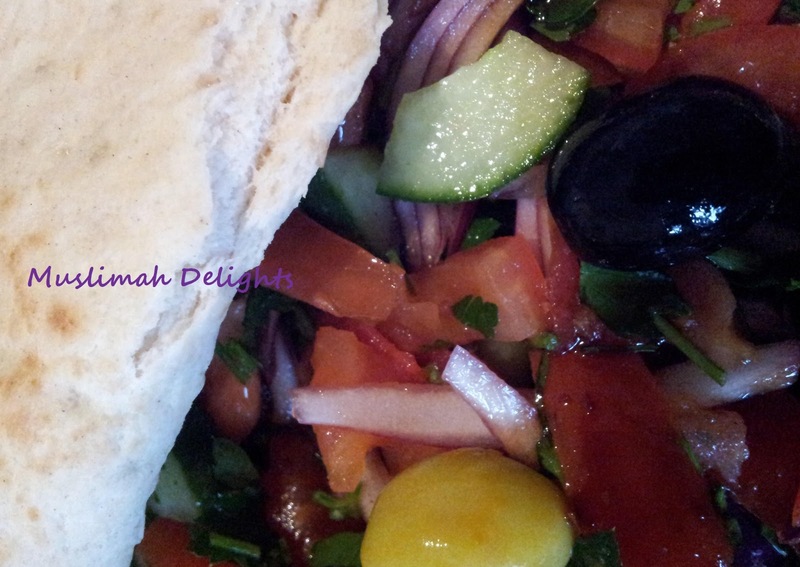 scatter with parsley and serve with bread and salad. Tagine of Kefta, tomatoes and egg! 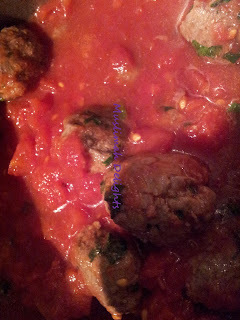 Note: If you would like your meal a bit spicy, add chilli flakes, paprika and maybe chilli powder in the meatball mix. You can also add a sprinkle of chilli flakes in the sauce. Recipe from "Made in Morocco: A journey of exotic tastes and places"
I served with a Turkish salad which I made using 3 tomatoes, 1/4 cucumber deseeded and cut, chopped red onion that had lemon squeezed over it and a bit of sumac sprinkled on top, fresh chopped parsley, olives and pomegranate molasses. P.S. I just spied the Potato patties recipe on your website, will have to try it out some day!